The story goes that Earl Grey, the Georgian prime minister, was given cases of this tea by a Chinese Mandarin. He liked it so much he brought it home and asked Twinings to recreate it for him. And that's what we've been doing ever since. Light, fragrant and with a distinctive lemon and bergamot flavour, our Earl Grey still has all the taste of the original. And we like to think it's still the best. 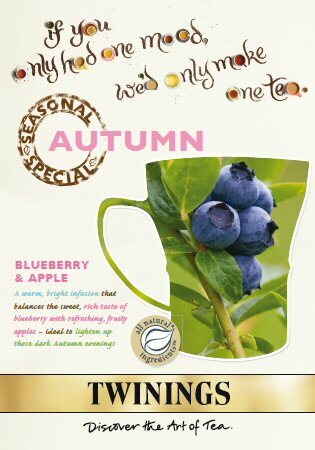 Twinings have developed a point of sale website which includes seasonal promotional posters you can print off for your own use.